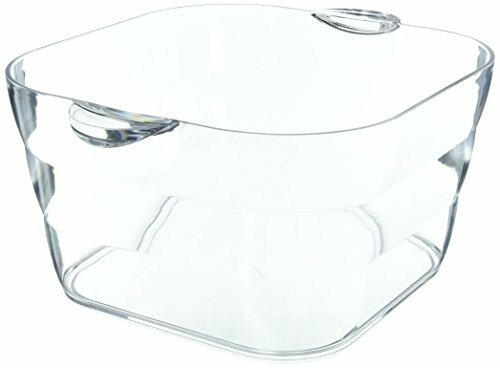 This big square tub is ready to party as it holds lots of ice and keeps lots of your favorite beer, soft drinks, wines, bottled water, etc. Chilled for hours. Made from durable Styrene with stylish ribbed walls and easy-to-carry handles, this tub is shatter-proof and break resistant. Measures: 14" L x 14" W x 8" H.